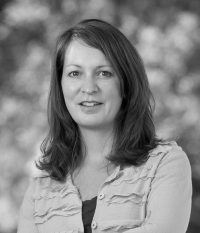 Dr. Sybil Sharvelle is an Associate Professor in the Civil and Environmental Engineering Department at Colorado State University with expertise in biological waste processing. She received her doctoral degree from Purdue University, where she developed a biological processor for treatment of graywater for potable reuse during long duration space missions. This experience led to her current interest in sustainable concepts for water and waste management. Dr. Sharvelle has 9 years of experience working on waste conversion to methane through anaerobic digestion, including the development of the Multi-Stage Anaerobic Digester and a decision support tool for anaerobic digestion.